Each year more than 30,000 new products are launched and 80% of them fail, according to Harvard Business School professor Clayton Christensen. It’s an understatement to say that competition – in nearly every market – is fierce. Whether you’re launching a new product, trying to capture market share or simply trying to maintain your market leading position, growth matters. Companies that don’t adapt their solutions and focus on growing don’t thrive in the long term. This forms the foundational need for growth marketing, but what exactly is growth marketing? Growth marketing is really an evolution of the phrase “growth hacking” coined in 2010 by Sean Ellis. After helping numerous internet companies achieve incredible growth, Ellis recognized that there were differences between traditional marketers and growth hackers. Growth hackers are singularly focused on growth. This absolute focus on growth has given rise to a number of methods, tools, and best practices that simply didn’t exist in the traditional marketing toolbox. Run a simple Google search for growth marketing or growth hacking and you’ll receive nearly a half billion results, including several hits for growth marketing specific conferences. Data Analysis– Understand the meaning of data and use it toidentify, understand and pinpoint new ideas and solutions. Quantitative Modeling– Translate your historical data into a forward-looking model to simulate the future and better understand what you should be doing today. User Psychology– To authentically influence, you need to truly understand the psychology of your audience and their problems, and then design and serve up solutions your users respond to. Storytelling– Unless you can bring the data to life in a way that is compelling and interesting to your target audience, all of the analysis in the world won’t matter. Understanding these fundamentals of growth marketing is important, but to act like a growth marketer, you need to take a strategic, rather than incremental approach. In order to drive continual, exponential growth, you need to think bigger and get creative. While Sales is responsible for short-term revenue growth, growth marketing is focused on long-term change. Working in partnership, growth-minded marketers will seek new ways of doing things to gain traction and drive momentum. Using analytics, growth marketing will measure Marketing’s impact on company-wide goals and allocate budgets and resources to try new programs, technologies and messaging based on constant learning. During this phase we seek to understand. We explore client and prospect personas, unmet needs, buying behaviors, the competitive landscape and the true North Star that makes our clients unique in their space. Through interviews and research, we get a solid understanding of what will resonate and drive action for growth. Based on data and resources, we build an actionable, relevant and measurable marketing strategy to support the defined goals. Sometimes we build a comprehensive marketing plan that addresses organization-wide business initiatives and sometimes we craft growth marketing strategies for distinct programs. Across the board, each plan includes clear, measurable objectives, strategies, tactics, timelines and metrics. With our roadmap in place, we turn to program development and deployment. This typically includes marketing programs that lend themselves to driving revenue growth. Often, programs include content marketing, lead generation, digital marketing and social media marketing, website strategies and enhancements, thought leadership, sales support, public relations and more. Programs and resources are allocated based on the goals at hand and the ways in which target audiences will interact with the client. As each program launches, we collect key metrics along the way. Testing things like subject lines, creative concepts, timing, channels, key words and more offer useful insights to guide marketing activities and investment for continuous refinement and success. To be successful as a growth marketer, you need focused, continual attention on growth initiatives. 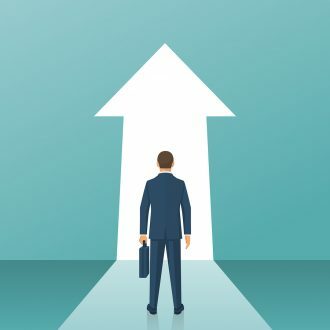 Partnering with passionate, experienced growth marketers – like those of us here at GrowthMode Marketing – can keep your organization on an upward trajectory. If you would like to discuss how Growth Marketing can help your organization, we’re always happy to connect with like-minded growth marketers. Contact us today to learn more.